Brock, a McIntosh x Golden Delicious cross, was bred in 1934 by Russ Bailey, renowned plant breeder of the University of Maine. 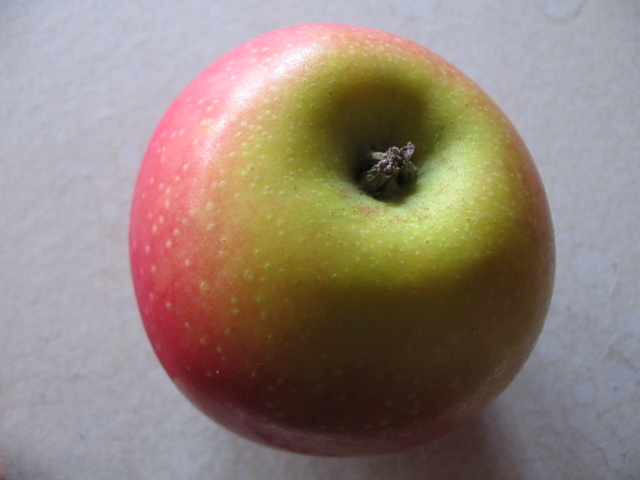 The apple was named for Henry Brock, the orchardist, who was one of the original testers of the variety. It was at Brock’s orchard in Alfred, Maine where the variety found its early popularity. Brock is the sole apple introduction from the University of Maine Cooperative Extension at Highmoor Farm in Monmouth. Brock has the same parentage as the apple Spencer yet they are very different apples. You can cross the same two varieties a thousand times, and every resulting tree and fruit will be unique. The original thought was to promote Brock for the sauce industry in part due to its small core and Mac heritage. Instead it has become a cult dessert apple among many small commercial growers around the country. It has a full, dynamic flavor and low acidity. The OOAL crew thinks it tastes “like a pleasant rainfall”.